Runners head down the trail during last year's Red Devil. WENATCHEE — RunWenatchee will move up the start time of its Red Devil Challenge 25K Trail Run this Sunday one hour to 8 a.m. due to unseasonably warm temperatures forecast for the region. The event’s 10K will still start at 9 a.m. Both races start and finish at the Sandcreek Trailhead, located 10 miles south of Cashmere in the Wenatchee National Forest. The weather forecast calls for highs in the upper-80s to the low-90s over the weekend along the east slopes of the Cascades. As of Tuesday evening, a record field of 170 runners had signed up for the two Red Devil races. “We want to give the 25K runners as much of a cushion as we can,” said Joel Rhyner, Red Devil race director. “Starting an hour early should help. In the past, runners have generally completed the 25K in two to three hours. So that means most will be finishing between 10 and 11 a.m. and before it gets too hot. “We will have several aid stations with water and sport drink along the courses, but we are encouraging all runners to hydrate sufficiently beforehand. 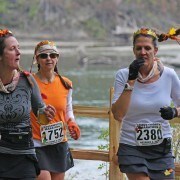 We also are recommending all 25K runners carry hydration packs with them.” Rhyner said. The change in start time for the 25K race also will impact the bus shuttle schedule for runners. 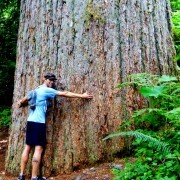 The 25K buses will load at 6:45 a.m. from Milepost 111 in Cashmere and depart for the trailhead at 7 a.m. The 10K buses will load at 7:50 a.m. and depart for the trailhead at 8 a.m.
Bib-number and t-shirt pickup is from 4 to 6 p.m. this Saturday at Pybus Public Market, 7 N. Worthen St. in Wenatchee; and from 7:15 to 8:30 a.m. Sunday at the Sandcreek Trailhead. Runners who want to register and enter the races can do so at each of those time slots. The Red Devil event, which raises funds for Chelan County Mountain Rescue, is celebrating its fifth year under RunWenatchee. It is named after the Rad Devil Trail, located in the Devil’s Gulch area up Mission Creek, that is part of the official courses. The 25K loop course has an elevation gain throughout of about 3,000 feet, while the 10K course has an elevation gain of 1,200 feet. Red Devil also is the second event in the annual four-event Volyn Law Wenatchee Valley Trail Run Series. 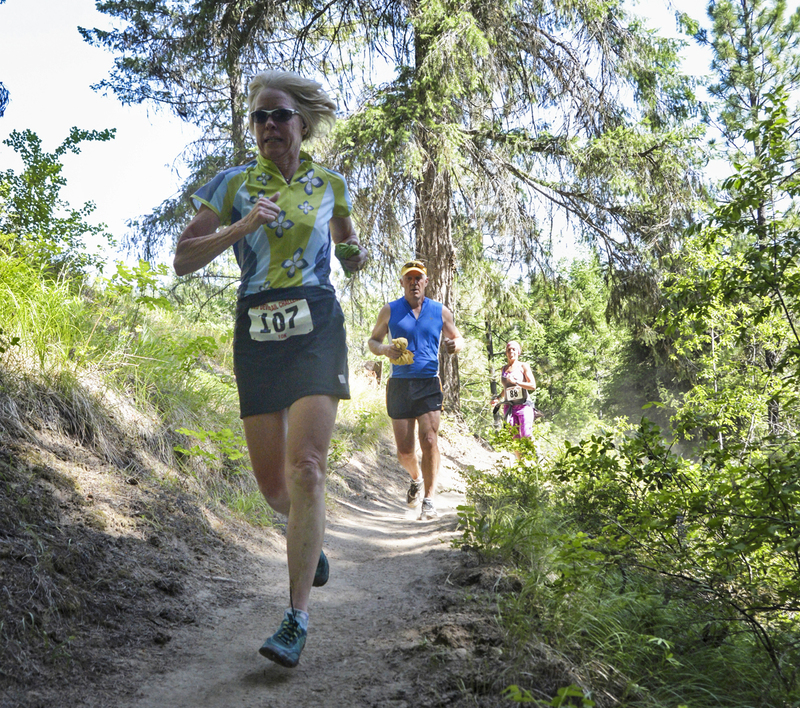 The series began with the Horse Lake Trail Runs on May 9 in the Wenatchee Foothills and continues after Red Devil with the Dark Side Festival Trail Run on Sept. 26 at Mission Ridge and the Oktoberfest Pumpkin Trail Runs on Oct. 18 at Leavenworth Ski Hill.